*The festive dinners will be in another restaurant, to be advised before arrival. Package includes free use of Jacuzzi, relax room, sauna, steam room, parking, ski storage for own equipment. Package includes free use of swimming pool, fitness, sauna, steam room, parking, shuttle to the bottom station of the gondola lift, Wi-Fi in reception area, ski storage for own equipment. Package includes free use of swimming pool, fitness, sauna, parking, shuttle to the bottom station of the gondola lift, ski storage for own equipment. Star Hotel Name Period Meal Studio 1 Bedrm App. 2 Bedrm App. 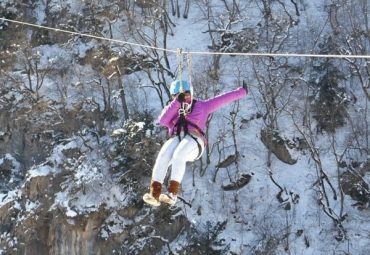 Package includes free use of swimming pool, fitness, sauna, steam room, parking, shuttle to the bottom station of the gondola lift as per hotels’ schedule, Wi-Fi in the entire complex. Airport Transfers must be booked at least 07-days in advance. Advance Bookings are highly recommended. City & Community Taxes to be paid directly & locally. 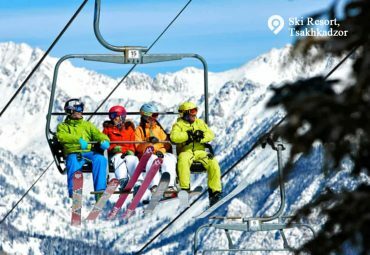 Bansko, once mainly a stockbreeding and travelling merchant community, has become an international centre for winter and summer tourism. At 150 km from Sofia, the mountain peaks near the town, the numerous lakes and the old pine woods make it a popular site for recreation. As of 2010, the ski area has 75 km of ski runs, 14 lifts and drags, serving up to 24,500 persons per hour. The lift-served summit rises to an elevation of 2,600 m above sea level. The vertical drop is nearly 1,000 m to the base area at Banderishka Poliana, and over 1,600 m with the ski runs to town. The nearby village of BANYA, located only 5 km from the town, is known for its 27 thermal mineral springs. Bansko has recently hosted FIS World Cup alpine ski races: the women raced in 2009 in two downhills and a super G. The men’s circuit made its first stop at Bansko in 2011 with a super combined and a slalom. Year 2012: It hosted the men’s giant slalom; FIS World Cup ladies’ downhill; super G, men’s giant slalom and slalom. About 90% of all 16 tracks are equipped with canons for artificial snow for high-quality and long-lasting snow cover. There is also a track equipped with lights for night skiing in the region. Open-air ice skating ring works in the town during the winter season. The highest point of the ski center is 2,560. The greatest challenge for the skiers in Bansko is the track Tomba, named after the Italian skier Alberto Tomba. A cabin lift is available for the tourists. It takes them from the starting point of the ski lift station in the town of Bansko to Banderishka Polyana. The town is connected with the ski zone and with a 7 km long ski road. 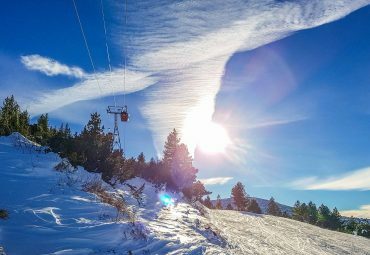 Bansko falls into the territory of the National Park Pirin, which makes it an appropriate place for winter, as well as summer tourism. Since 1983 the park had fallen under the protection of UNESCO. The town is a starting point for tourist routes to the following huts: Banderitsa, near which is situated the Baykusheva Mura (a white fir) (the oldest tree in Bulgaria – more than 1300 years old), Demyanitsa, Vihren, as well as the shelter of Tevno lake, etc. There are multiple protected sites in the park. The routes with varying levels of difficulty are available for people of all ages. You can learn more for the park and the tourism options it offers in the Visitors Information Center of the National Park Pirin, which is situated in the town of Bansko. The Bansko region is famous for its mineral waters, which turns the resort into an attractive SPA destination.